While walking around the San Antonio Zoo, we came across the rhino enclosure. I think rhinos are interesting - they seem somewhat prehistoric to me. Anyways, this guy was just standing there when we first arrived, and I tried to get some shots but nothing was too exciting. Anyways, he meandered about for a short while and then plopped down for a nap. I was able to walk to the other side of his enclosure to get this shot. Zoom in a little and presto! 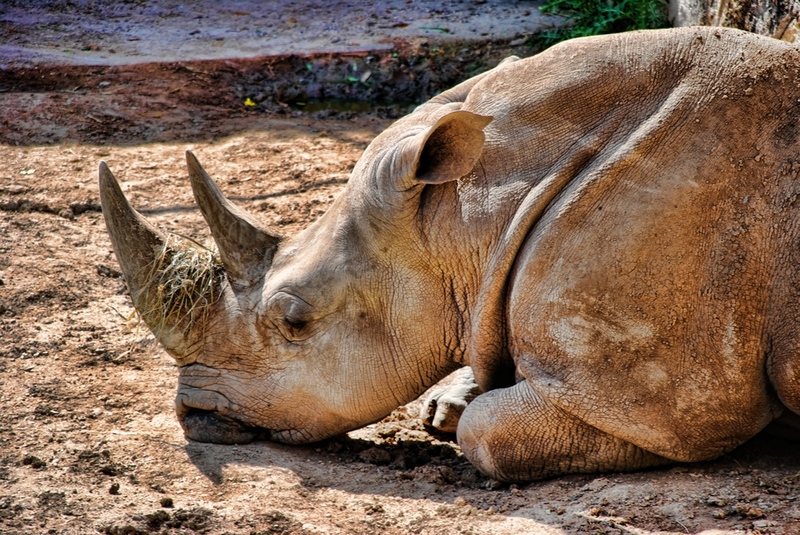 Doesn't it seem like zoo animals are always napping? I guess they get bored just like we would if we were cooped up forever. One day I would love to visit Africa and get some shots of real wildlife, doing whatever they do in the wild - probably napping!